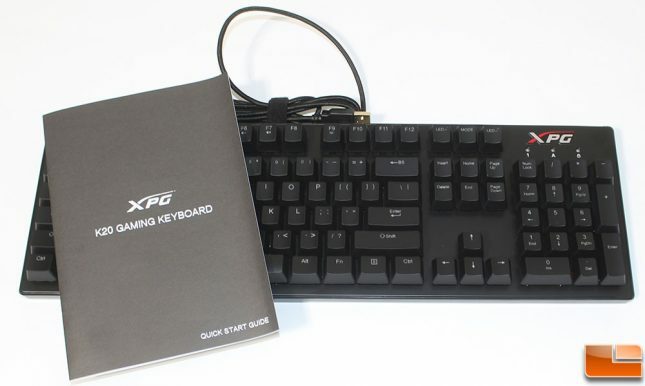 The XPG Infarex K20 is a mechanical keyboard, that uses Kailh Blue switches. If you are unfamiliar with mechanical keys, they are typically much more responsive than membrane keyboards, so they are geared towards gamers, or users that want a specific tactile response. 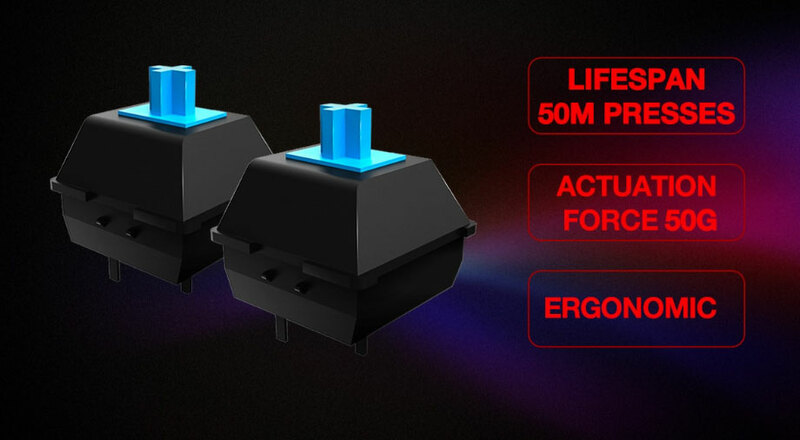 While Cherry switches are considered the premium switches as they have been around longer, the Kailh switches are considered to be equivalent, with positive and negatives on both sides. The Kailh Blue switch provides both a tactile and a clicky response when pressed. The Kailh Blue switches have a 50 Million key press lifespan each, which will be virtually impossible for somebody to hit; they’re designed to last a lifetime. The XPG Infarex K20 is is backed by a one year warranty. The front of the retail box for the Infarex K20 simply informs the user that it is a “Mechanical Gmaing Keyboard” and that it uses Kailh Blue switches. Flipping the box over for more information, we find a nice view of the keyboard, along with a few of the features called out. There is no information on the Kailh Blue switches, leaving the user to know exactly what they are capable of. One useful piece of information on the back of the box, points out it includes a one year warranty. Opening the box of the XPG Infarex K20, we find the keyboard is covered with a plastic bag. This is pretty standard packaging for keyboards, and does a sufficient job at protecting the keyboard during shipment from minor scratches. Inside the box, we find the keyboard, and a simple multi-language Quick Start Guide. There is no software needed to use the keyboard, and no additional keycaps or key puller are included. Let’s move on to taking a closer look at the Infarex K20.